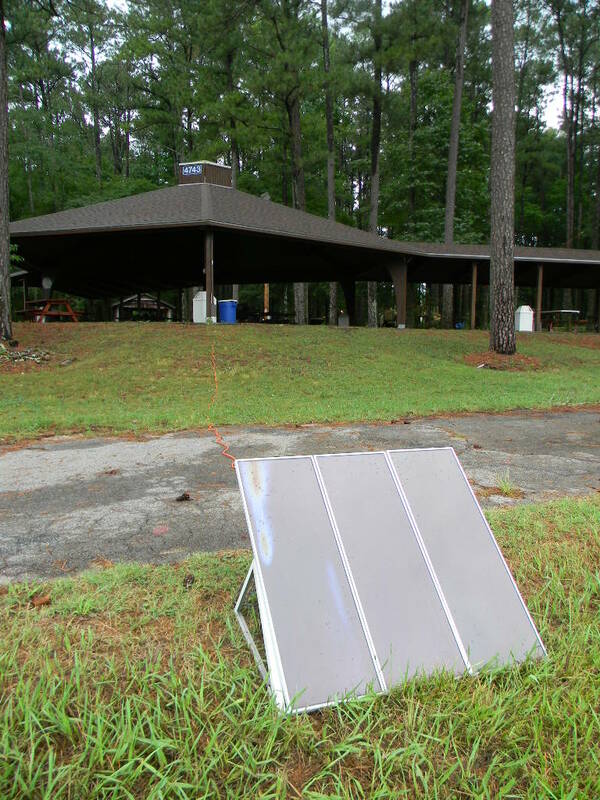 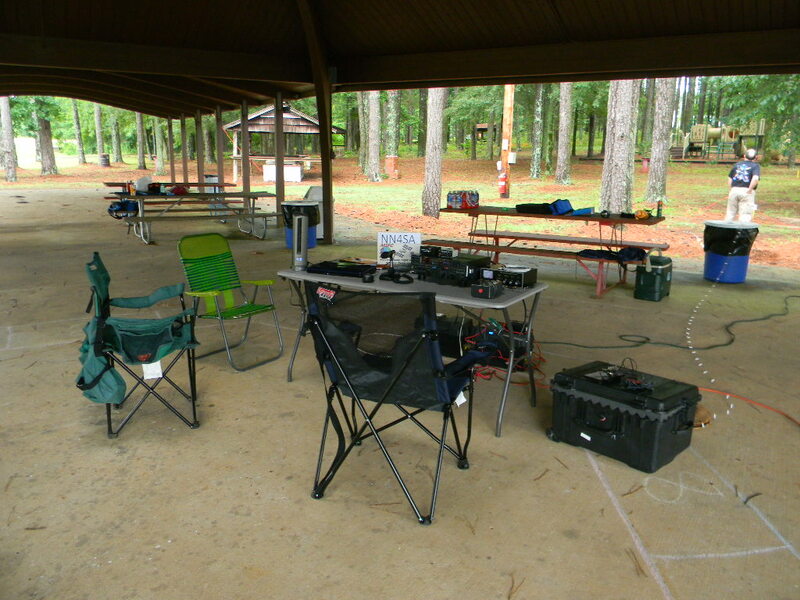 This year we chose to really operate as a field station for Field Day. 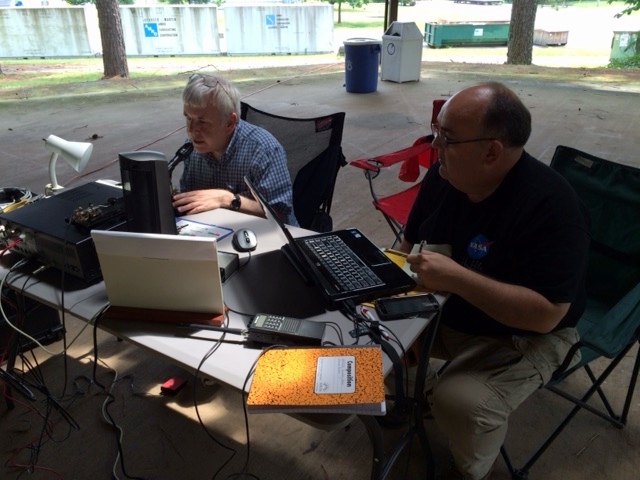 We used the NASA Picnic area on Tiros Street. 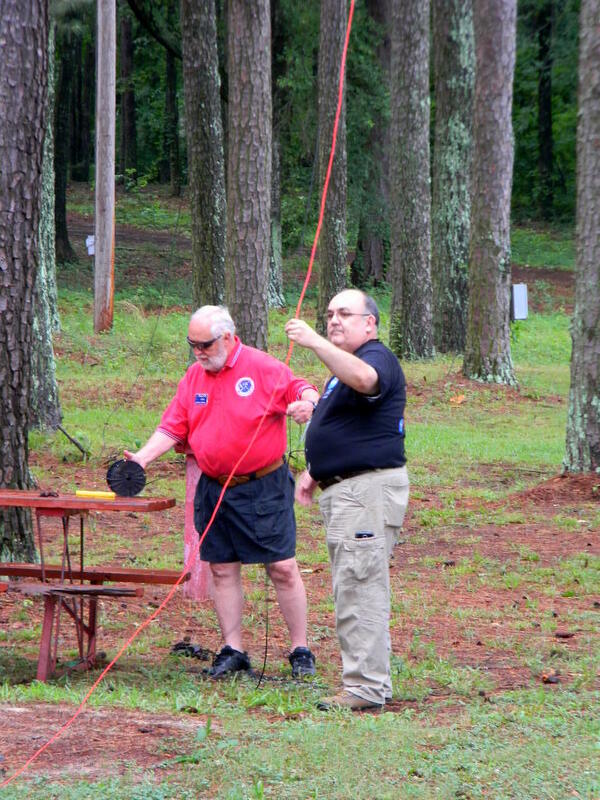 This gave us the chance to get out, to test ourselves out, and operate under emergency conditions in a public area. 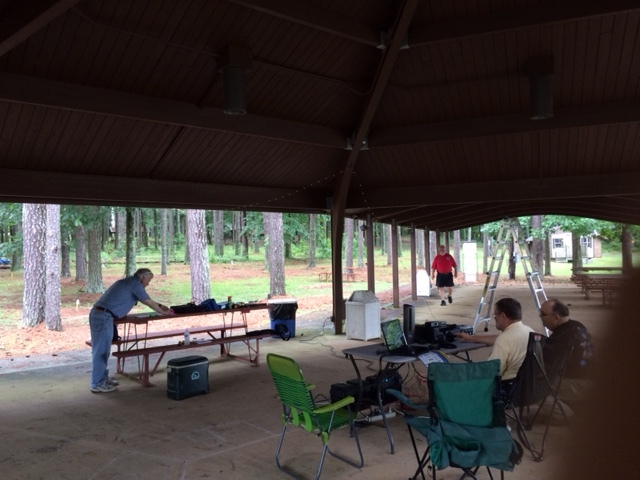 We turned out to have an excellent operation! 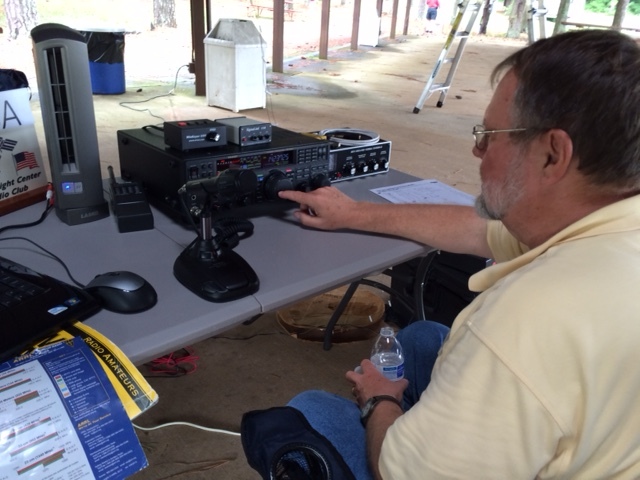 Gary WA2JQZ operating 10 meter phone with John N4CNY logging. 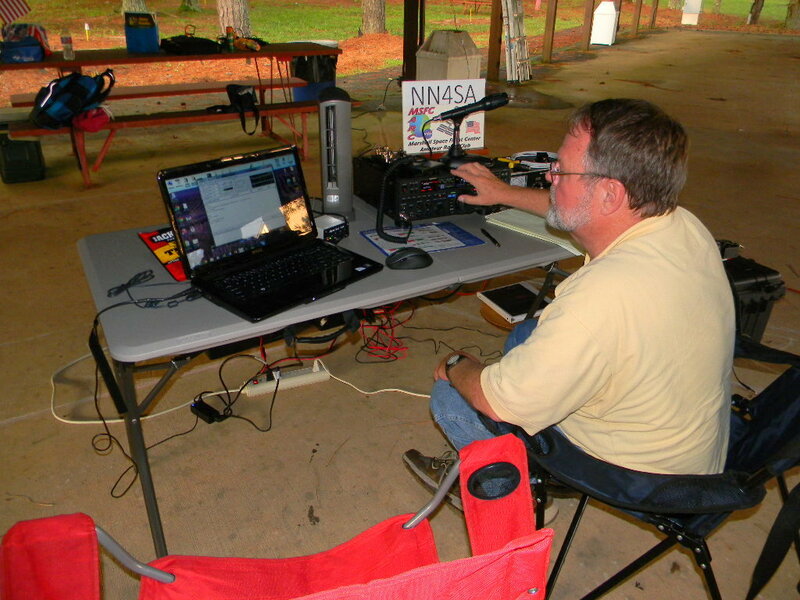 Gary also operated CW. 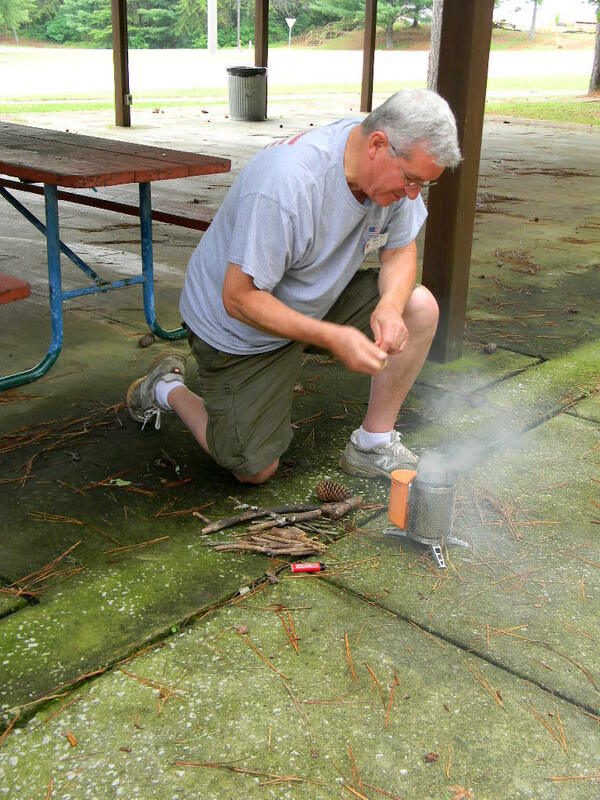 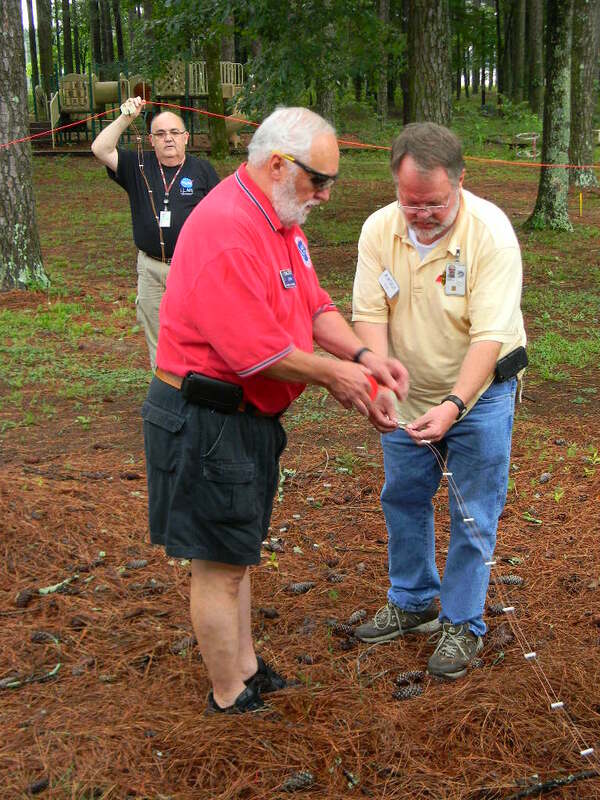 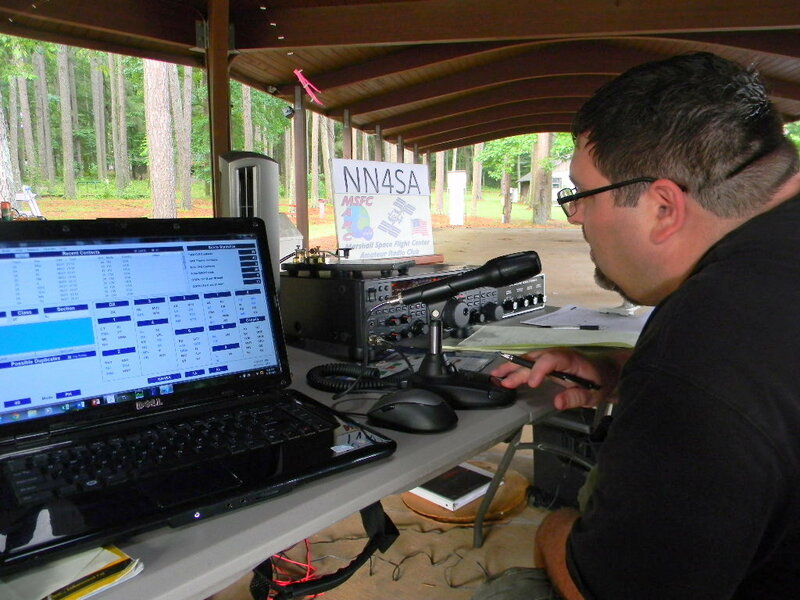 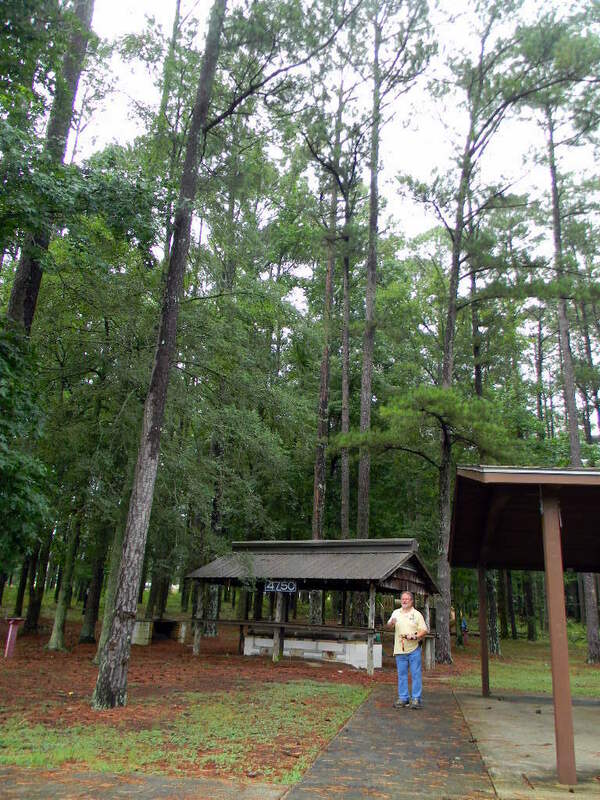 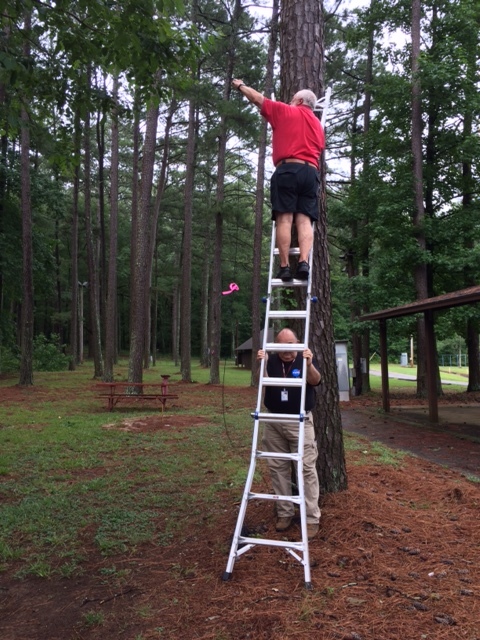 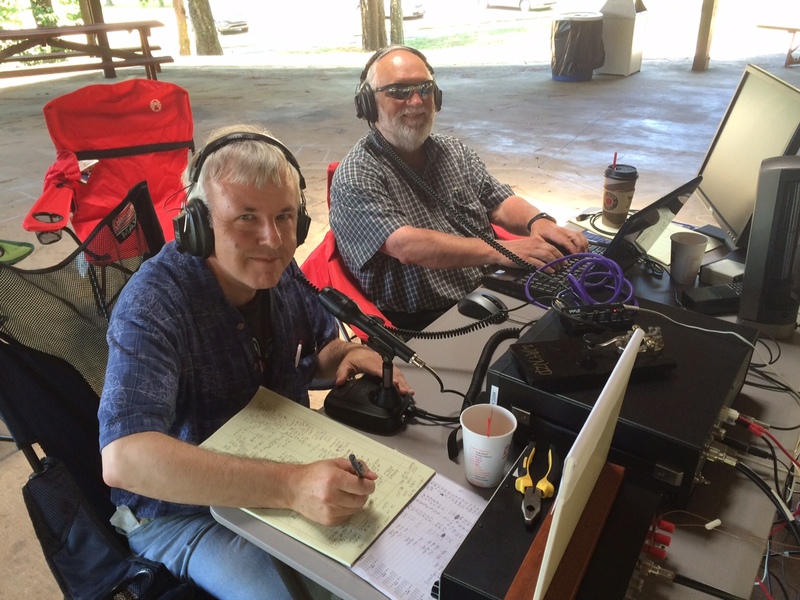 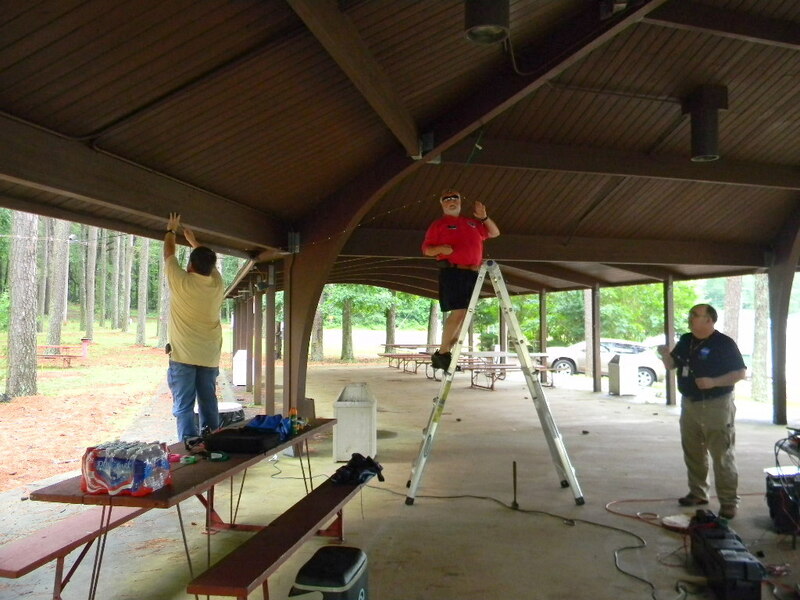 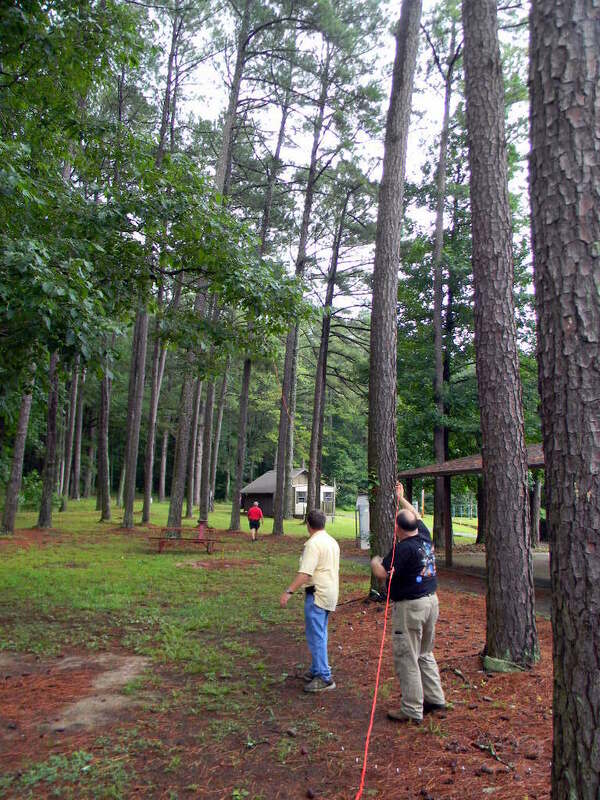 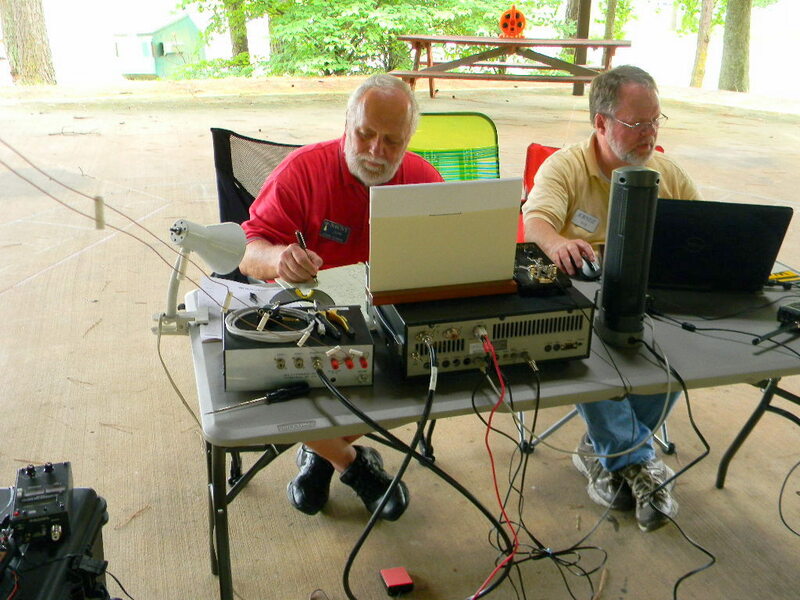 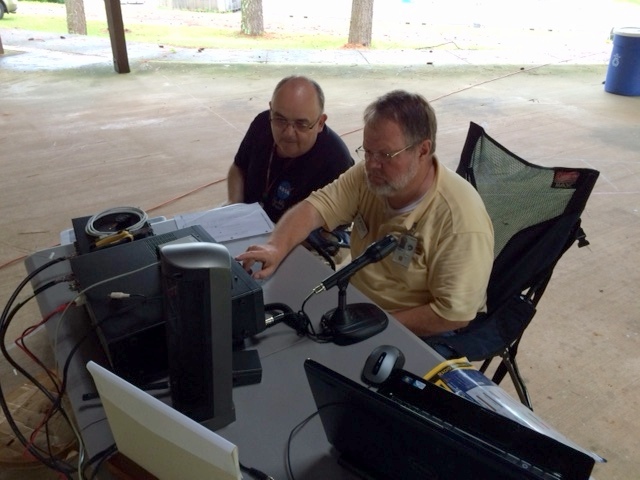 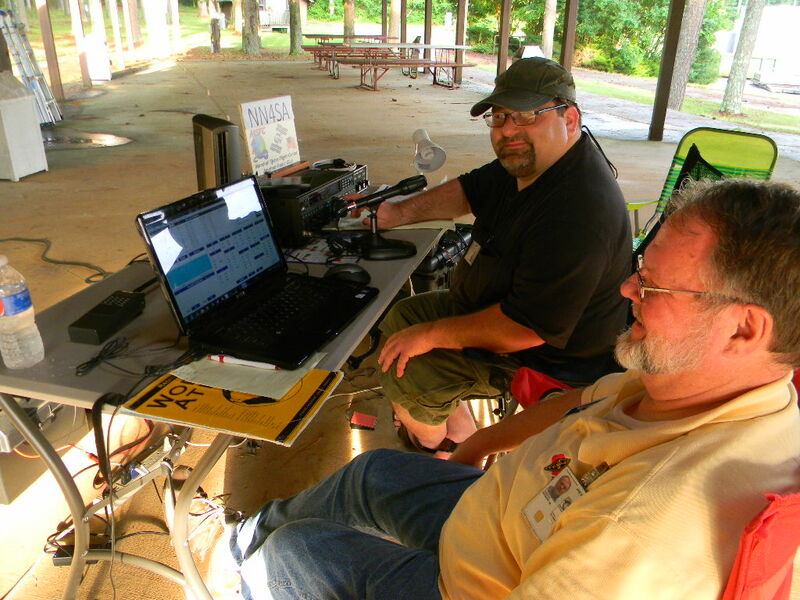 ARRL posted the results/statistics for 2015 Field Day. 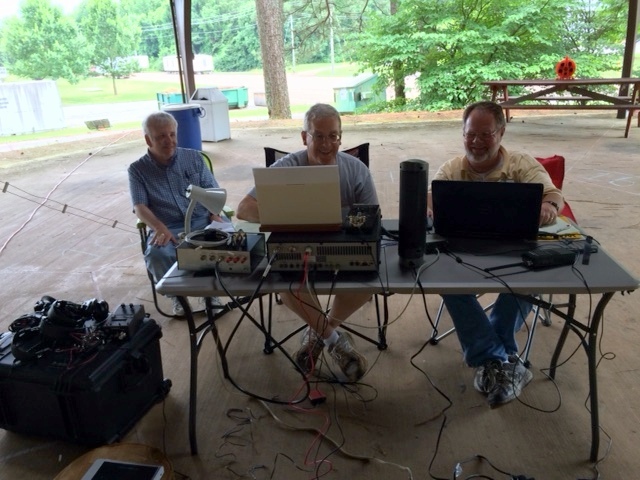 We scored 1072 points with 150 QSOs. 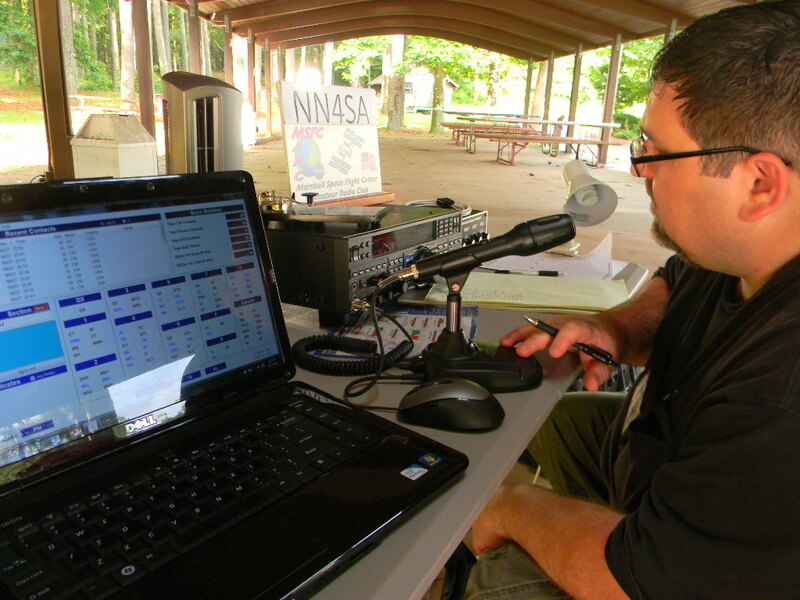 We ranked #1459 out of 2720 entries. 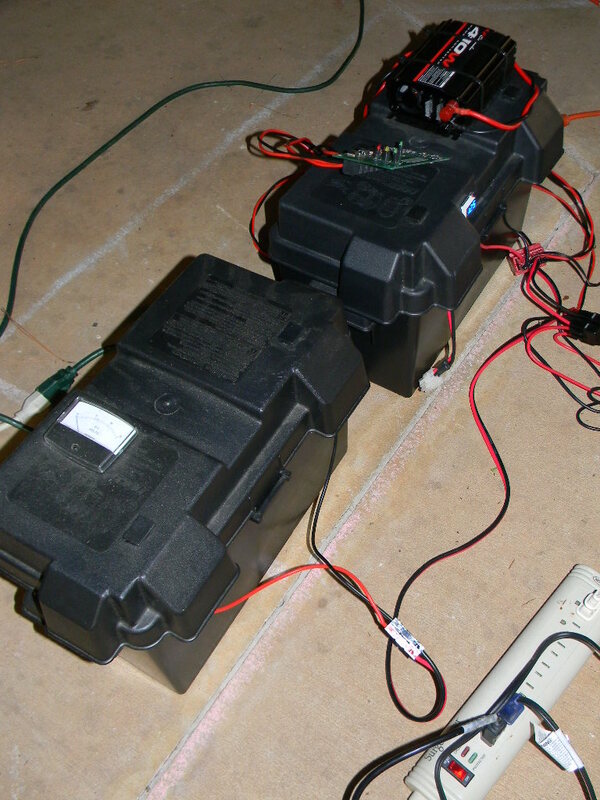 Operating less than 150 watts, our score included a multiplier of 2. 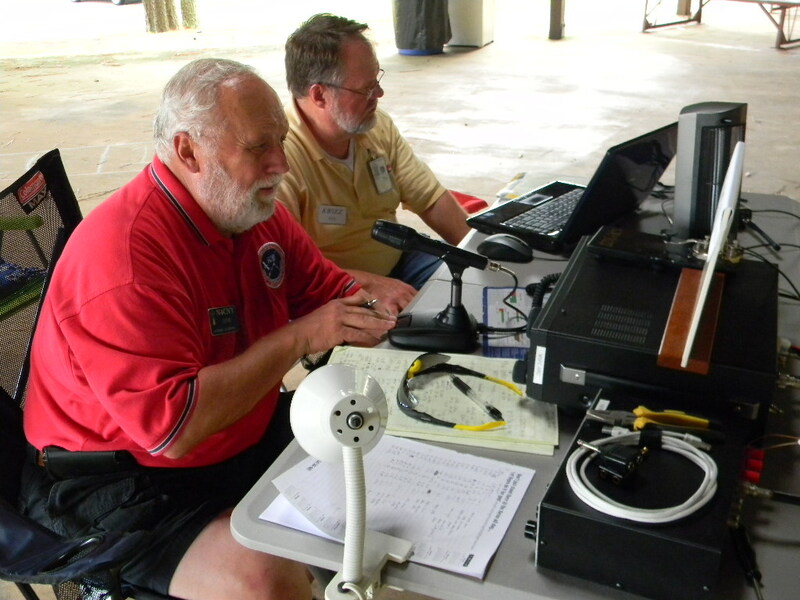 Our score also included points for copying the ARRL broadcast bulletin (in several modes), operating in a public location, posting information in the Marshall Center’s news, and having information literature available. 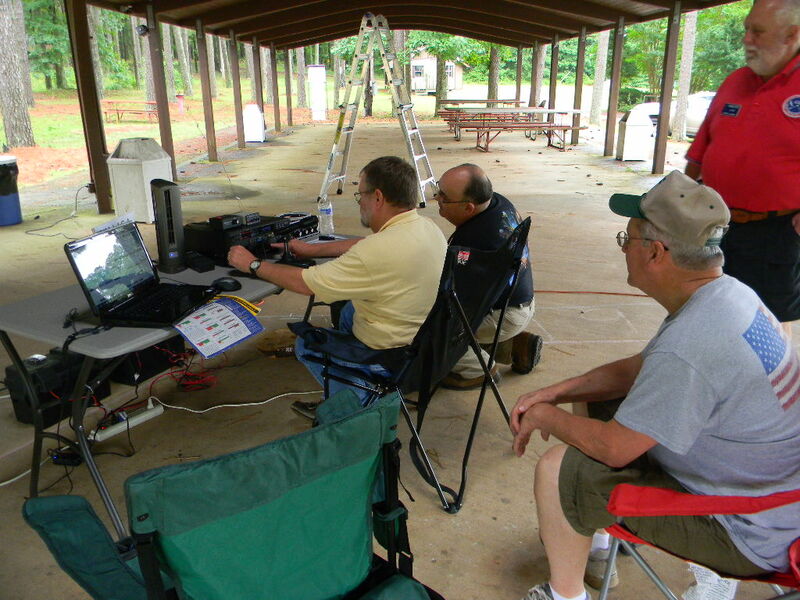 We were one of 44 entries in Alabama, we were one of 118 entries in the 1A category. 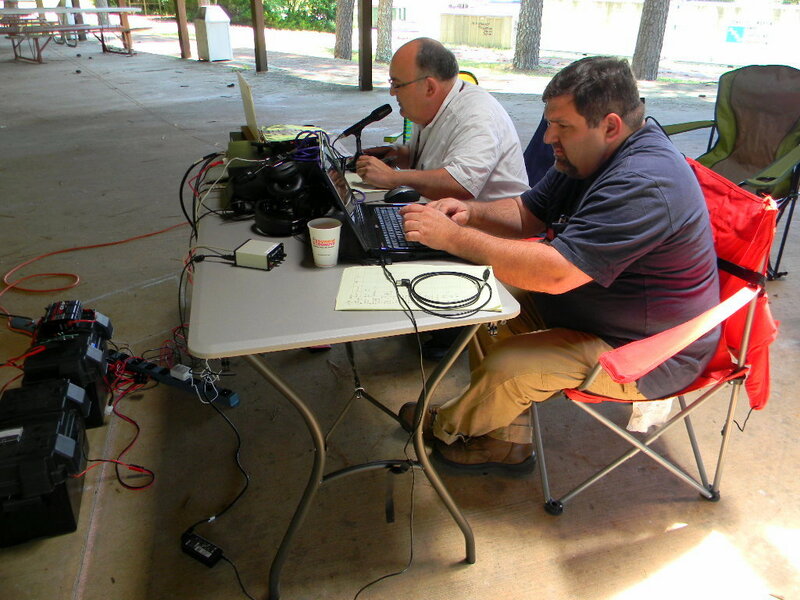 We were one of 1247 entries in the broader A category, for operating portable with 3 or more participants. 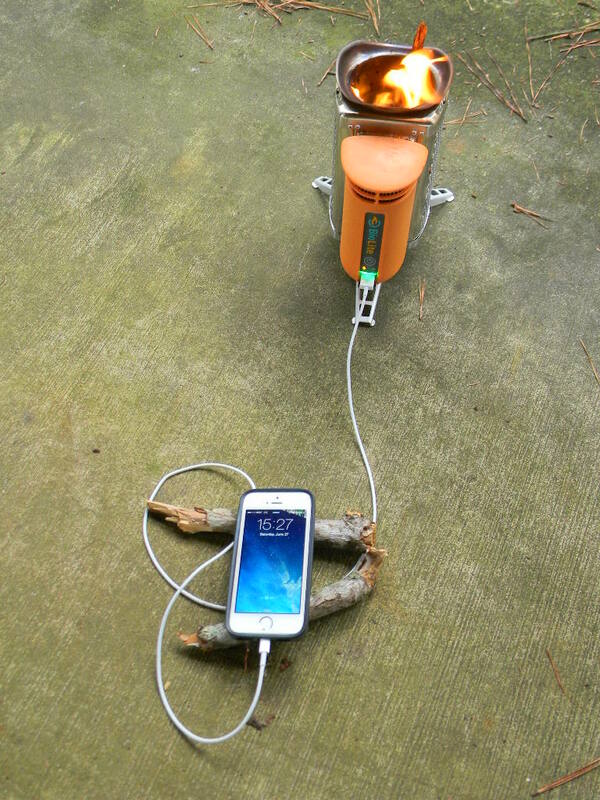 (Plus there were 315 entries in the B category, for portable with just one or two participants.) 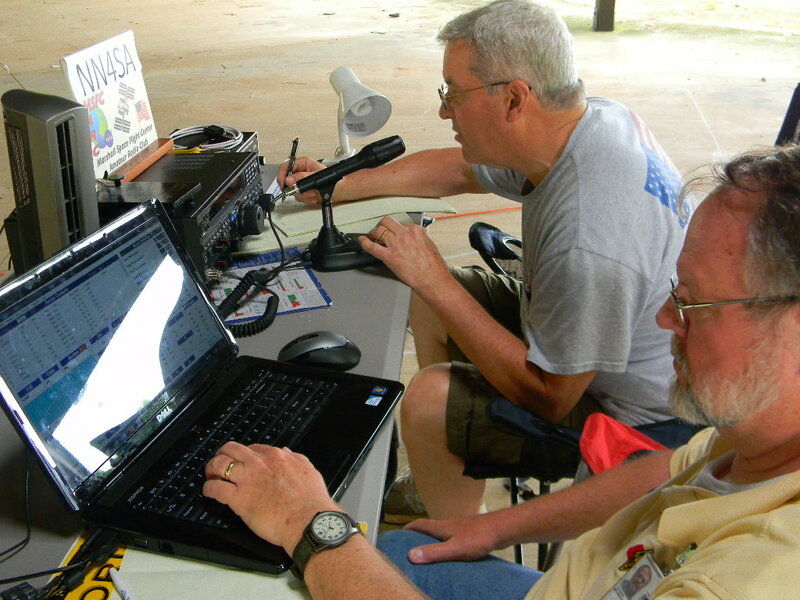 35,369 hams in total participated in this year’s Field Day. 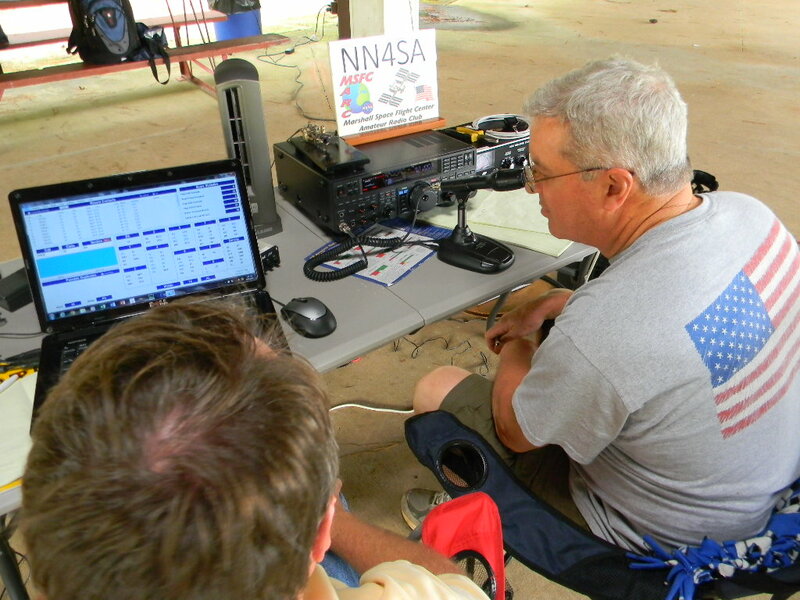 Although the scoring was nice, our focus was really on having a good experience operating, for all of us participating, and for having practice for emergencies.